As Executive Vice President and Market President for our West Region, Michael Ramseier is responsible for leading and driving our business in the West. Supported by a dedicated leadership team, Michael will deepen existing client relationships, grow our footprint, and ensure we meet our programmatic and operational commitments to our clients. Michael has more than 24 years of experience and success within the health care industry. Most recently, he served as President and General Manager for Anthem Blue Cross and Blue Shield in Colorado. In this role, Michael was accountable for the overall Colorado profit and loss, network contracting, provider relations, clinical management, client services, sales, product development, and underwriting functions for group and individual business, as well as commercial regulatory compliance and policy. 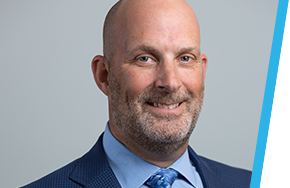 Prior to this, he served as Vice President, Provider Engagement and Contracting, West Region for Anthem Blue Cross, California, developing and implementing innovative and industry-leading delivery and reimbursement models. Michael received his Master of Science in health services administration from Saint Mary’s College of California and his Bachelor of Arts in business administration from Golden Gate University.